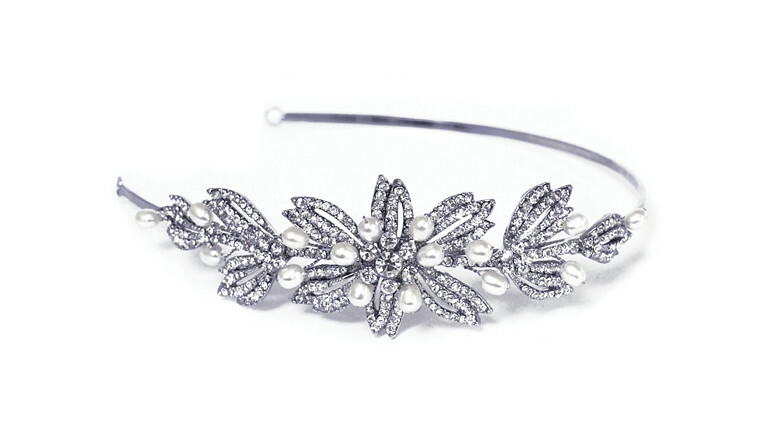 The gorgeous Halcyon Headband from Ivory & Co is classic and contemporary in one. The bold leaf inspired design is softened with pearls for that beatiful finishing touch. The Halcyon bridal headpiece is presented in a beautiful gift box for that perfect present to the bride,doubling as a beautiful storage unit after the big day!